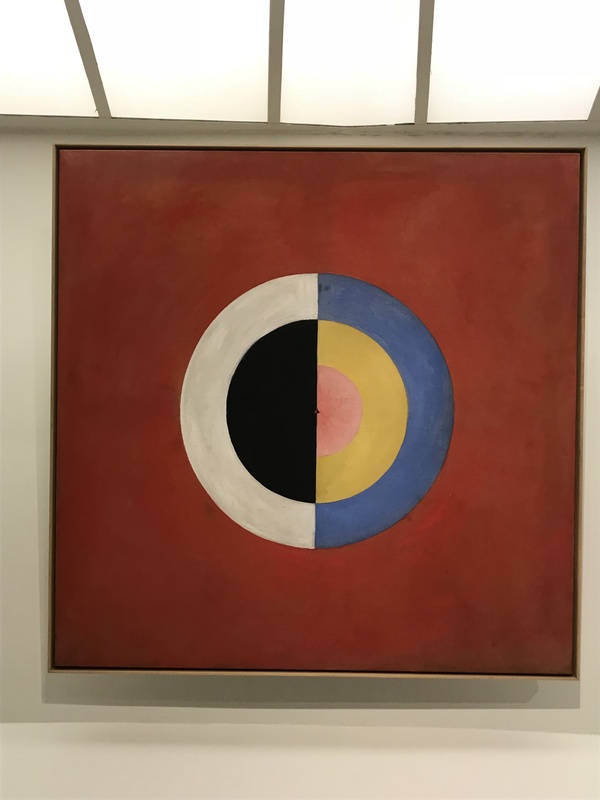 The Guggenheim museum is presenting the first major solo US exhibition of the groundbreaking work of Hilma af Klint, titled “Paintings of the Future”. Although created in the early part of 20th century, this work remained virtually unrecognized until 1986. These paintings made between 1906 and 1915 are now considered paradigm changing so the first non representational totally abstract work of the Western world. The artist felt her art was too radical for her contemporaries so she did to want them shown until twenty years after her death. Although her art was based and generated by af Klint’s spiritual practice, the paintings depict geometric phenomenon. This large painting is “No.17 Group IX/SUW, The Swan ” from 1915. It shows a circle bifurcated through the vertical center line. The left hand side consists of two layers an outer white layer and an inner black core. The right hand side in contrast has three concentric layers of bright colors. This concentric theme has been examined many artists years later. “No 22 Group IX /SUW, The Swan” also from 1915, examines the concept of a cube projected on the 2-D plane. Dividing the square canvas with guide lines one through the center vertically, and two horizontal lines. These horizontal lines are located a distance away from the top and bottom of the canvas of 1/4 of the length of each side. 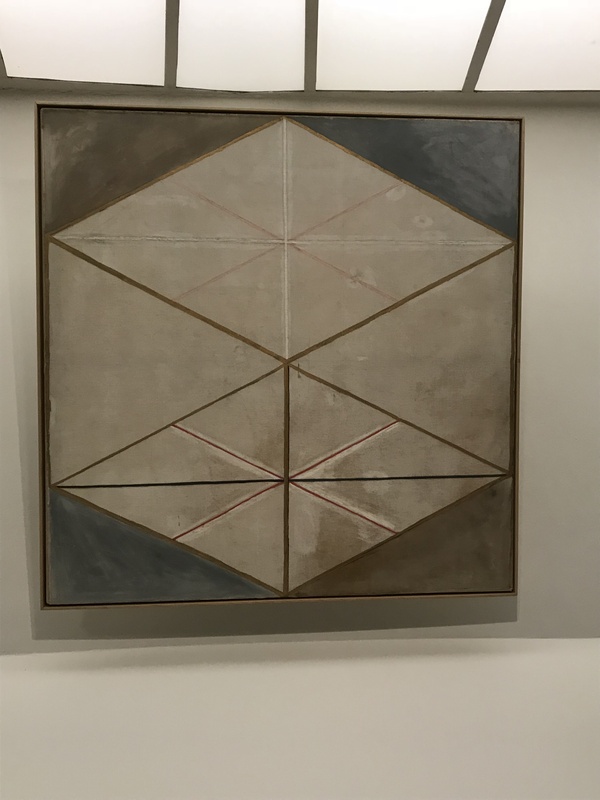 This configuration creates two squares in the center of the work to build the isosceles triangles and rhombi to create the illusion of the cube and it’s interior space.